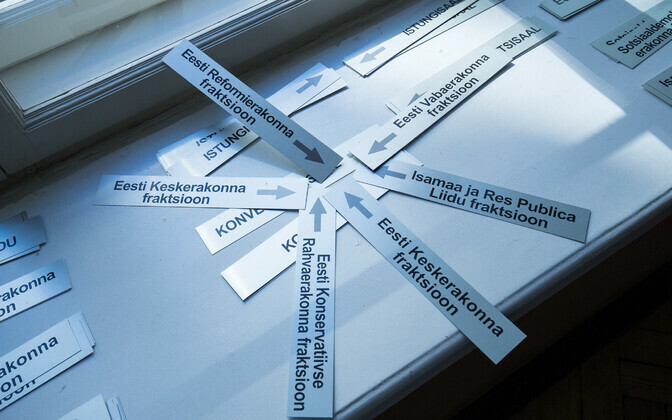 The membership fees that Estonia's 11 registered political parties collect made up just 2% of their total income in 2018, ERR's online news reported on Tuesday. Of the parties' combined income of €7.3 million, party members contributed only €153,466. The largest part of the parties' funding comes from state support any party represented in parliament is entitled to. These political subsidies amounted to no less than €5.4 million, or 74%. Political donations are next, at a total €1.7 million that the parties managed to raise last year. Membership fees, explained in detail below, are next, followed by revenue out of assets owned by the parties (up to €20,000). The Centre Party collected the most in membership fees, namely €64,381. At the same time, the party reported a total income of €1.9 million for 2018, which means that the members contributed no more than 3.4% of the party's total. Centre had some 15,000 members at the end of last year. The Reform Party is next at €27,505 euros. Its income was greater than that of Centre, at some €2 million, of which membership fees made up no more than 1.4%. At the end of 2018, the party had some 12,000 members. The Social Democratic Party (SDE) reported €1 million in income, of which €25,853 or 2.5% were membership fees. The Social Democrats have some 5,700 members. The Conservative People's Party of Estonia (EKRE) reported just over €500,000 in income with a share of €17,288 in membership fees, or 3.4%. EKRE had some 8,800 members at the end of 2018. At just €7,241 collected in membership fees, but with a reported income of €1.3 million, Pro Patria's 8,500 members contributed all of 0.6% in 2018. And finally, among the parties currently represented in the Riigikogu, the Free Party collected €6,164 in membership fees at a total reported income of some €450,000, which puts the share of fees in the total at 1.4%.